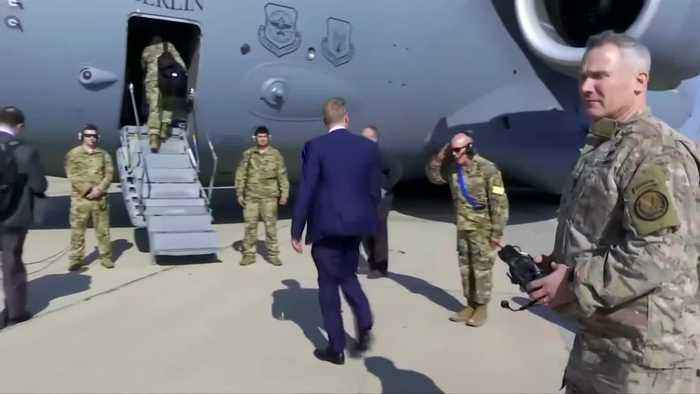 The acting head of the U.S. Defense Department, Patrick Shanahan, made a surprise visit to Iraq on Tuesday. Baghdad has found itself in a difficult position torn between two close allies: the United States and Iran. Acting U.S. Defense Secretary Patrick Shanahan met with Iraqi Prime Minister Adel Abdul Mahdi during an unannounced visit to Baghdad on Tuesday (February 12). Iraqi leaders including Abdul Mahdi were angered earlier this month when President Donald Trump said U.S. troops were needed in Iraq to observe Iran, which would overstep the U.S.-led coalition's stated mission in that country of defeating Islamic State. Lawmakers in the Iraqi parliament aligned with Tehran said at the time that Trump's comments were more evidence the U.S. mission in their country should be restricted. Shanahan is also expected to discuss the issue of the withdrawal of U.S. troops from Syria.